We have 121 drone pilots available for real estate projects in Wisconsin. Hello! After 23 years of owning my own service business, customer satisfaction remains my number one goal! I have experience in shots for insurance, roof inspection, 3D mapping, and cell phone towers. Are you ready to take your Wisconsin Real Estate listings to the next level? Then maybe it's time to consider using Wisconsin real estate drone photography / videography to enhance your listings. Gorgeous photography and videography add depth and beauty to everyday listings, and can make a huge difference in the response your properties get from prospective buyers. Not sure where to find a reliable real estate drone photographer in Wisconsin? Our team can handle almost any task you can imagine. In addition to Wisconsin, we also have hundreds of pilots nationwide with varying styles, skill sets and costs. Our drone photography pilots are experienced and able to handle many tasks. Need an interior overview of a large commercial building? Want to give buyers a complete picture of a luxury golf course for sale? Aerial drone videography and photography can make a huge difference in getting great leads willing to pay your asking price. Drone photography adds depth and character to your property descriptions, breathing new life into high-end property listings and setting a new standard for high-end real estate marketing. Drone photography and videography services can help provide breathtaking aerial views and impressive interior tours that help your property shine. Whether you’re selling a home in Elm Grove or Maple Bluff or putting a commercial property on the market, our pilots wait eagerly to create an impressive video and photography package that will to set your listings apart from the competition. There’s no job too big or too small for our pilots. We’re not a fly-by-night company, either; you can rest easy knowing all of our pilots are legal, licensed, and already have their FAA 333 exemption. How does it work? First, you simply post a job to our marketplace. Once the job is posted, sit back and relax. Pilots will then either send you a bid, or ask for more information in order to tailor their bid to your needs. 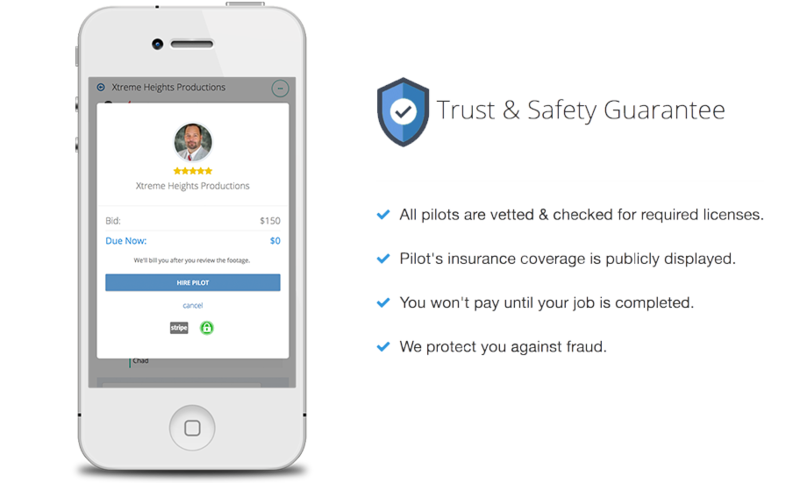 When choosing the right pilot for your needs, you can compare reviews, portfolios and prices of every drone pilot that bids on your job and use our messaging platform to ask the pilots any other important questions to help you decide which pilot to hire. You’ll start getting competitive bids within a few hours of your posting, giving you a pool of competent, skilled professionals to choose from. 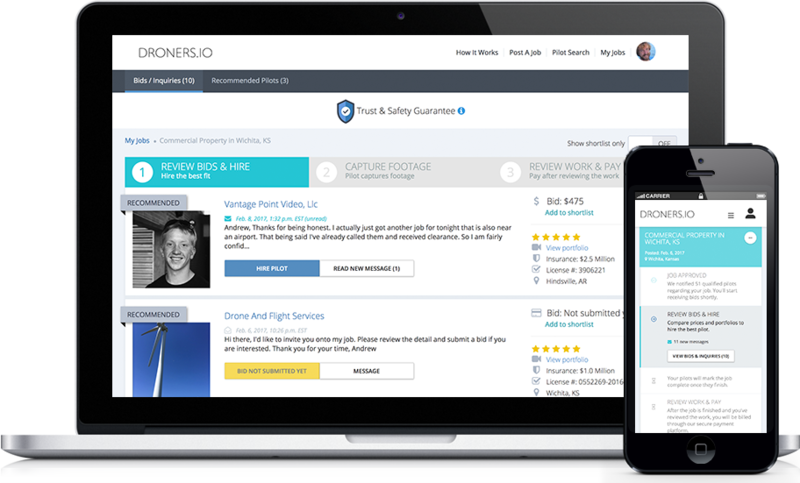 From there, you can compare reviews, portfolios and prices of every drone pilot that bids on your job. 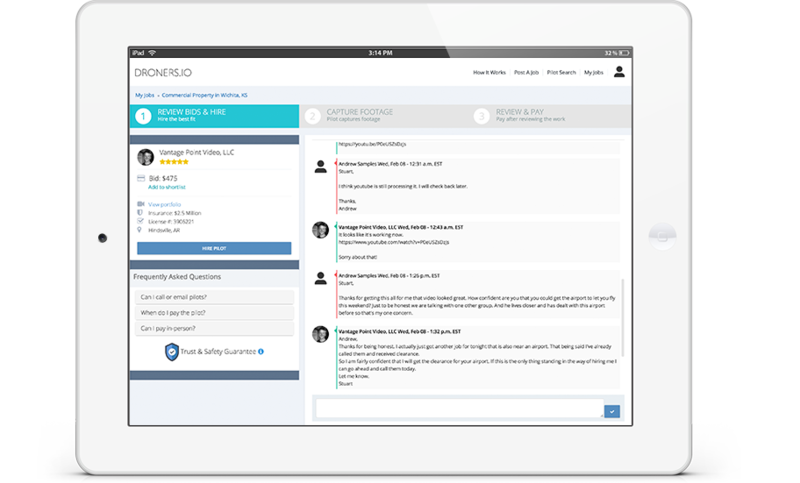 You can also use our messaging platform to ask the pilots any other important questions to help you decide which pilot to hire. Once you've chosen the Wisconsin Real Estate pilot you want to work with, you'll pay your pilot by project, or per hour, depending on what they specified in their original bid. When the job is done, and they have finished their work, they will submit an invoice to you. You'll have up to a week to review the invoice and when you’re ready to make a payment, you'll do so by using our secure payment platform, using a debit or credit card for your payment. We’d love to help you find a Real Estate pilot to help you complement your next property sales listing with aerial photography, videography, and more. Please get in touch if you have any questions, or feel free to post a project and start accepting bids today. If you're wondering, "how do I get an aerial view of my house? ", drone photography is the answer.